Circle Y Alpine Flex 2 Trail Saddle - Test Ride Clearance! 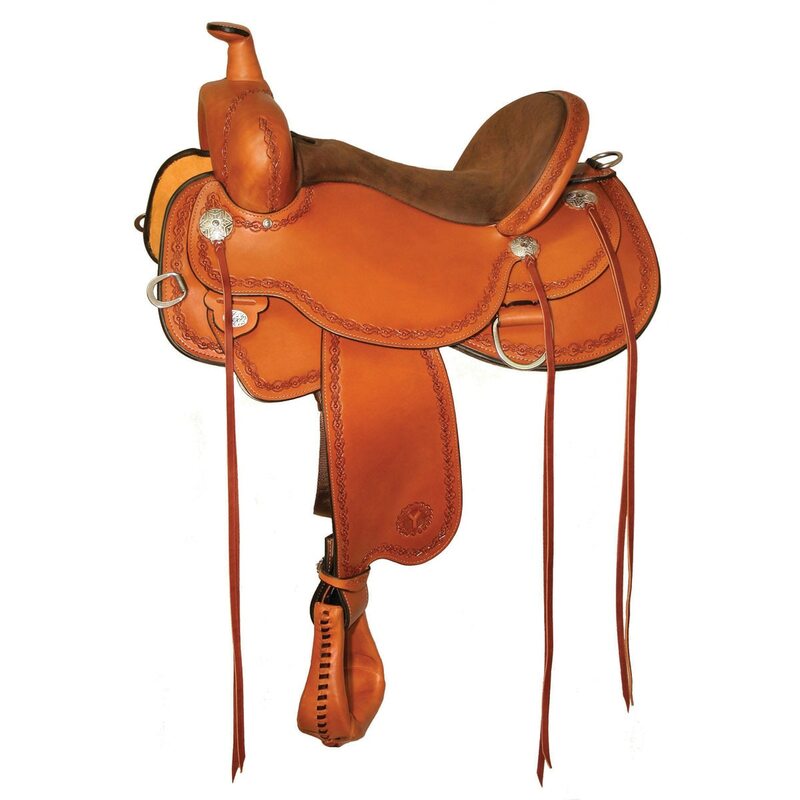 The Alpine Flex2® trail saddle has a cut out skirt shape which allows closer contact and more precise cueing. The soft, Impact Foam seat, already broke in Softee® seat jockeys, and EBS stirrups which reduce joint fatigue give you total comfort in a brand new saddle. Regular Oil. Size: 14", 15", 16", 17". 18"